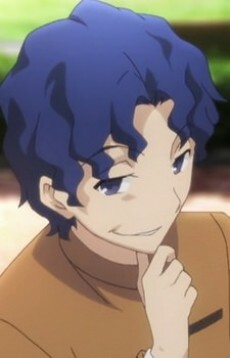 Sakura Matou's older brother, and a long-time friend of Shirou. Shinji is very popular as vice-captain of the archery dojo despite being chauvinistic and a narcissist. Like Rin Tohsaka, he is of a distinguished lineage of sorcerers, though the Matou blood has thinned and no longer produces heirs naturally capable of sorcery. Shinji feels uncomfortable with his sister's daily visits to Shirou's home. He has an open crush on Rin, but she does not return his favors.